When you are burning WMV videos to DVDs, sometimes you may get a message saying that the files have DRM protection and cannot be burned. What's the matter? Well, WMV videos downloaded or purchased from some Amazon Video on Demand, Zune Marketplace, BBC iPlayer, etc. are usually protected by DRM. The DRM protection stops you from coping or transferring the media files. If you want to burn the protected WMV videos to DVD for playback on TV and home DVD players, you need to remove the DRM protection before burning. This guide will show you how to remove DRM from protected WMV and convert DRM WMV to DVD in two ways. You can choose the way you like to burn your videos to DVD with ease. The most efficient way to convert DRM protected WMV video to DVD disc is to use an all-in-one DRM remover and DVD burner. To do this, you can simply download Aimersoft Video Converter Ultimate and use it to burn the video files to DVD disc. The main interface of the software is as below. Besides removing DRM and burning DVD, the software can also serve as a video converter, DVD ripper, video downloader, video recorder and video editor. To burn DRM protected WMV to DVD, just add the DRM WMV video files to the program and choose the output folder and format to remove the DRM. After that, the DRM-removed videos will be added to the source pane and you can just insert the DVD disc to your hard drive and click "Burn" to start burning the video files to DVD with custom DVD menus..
Another way to copy DRM WMV to DVD is to remove the DRM from WMV videos with a DRM remover and then use a DVD creator to burn the videos. This method may be not better than Solution 1, but it still works well. To remove WMV DRM, you can use the top-user-rating one - Aimersoft DRM removal program, which can help your remove DRM from WMV, M4V, WMA, AAC, etc. 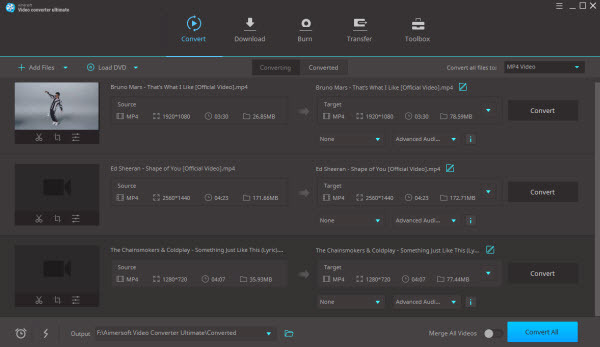 and convert between all popular video/audio formats like MP4, AVI, WMV, MKV, MOV, FLV, MP3, AAC, FLAC, AIFF, M4B, etc. Just load the videos to the program and choose the output format and destination folder, then click "Start" to begin the DRM removing. After 1, now you get the DRM-free WMV video. Get Aimersoft DVD Creator and import the video files you want to burn. Choose the DVD menu and customize it as you like (No menu is also supported). Then go to the Burn tab, select the DVD burning parameters and start to burn the WMV videos to DVD disc. OK, above are the two ways to burn protected WMV videos to DVD. Just choose the one you like! Convert ASF to DVD: Wondering how to burn ASF videos to DVD without any hassle? Get the answer here. Convert HD Video to DVD: If you are looking for an efficient way to convert HD videos to DVD, you can simply follow the tutorial to finish the task. Burn H.264 to DVD: Have no idea how to burn H.264 videos to DVD with ease? Get the answer here. Convert MKV to ISO: Want to convert MKV videos to ISO files? Find the most efficient solution here. 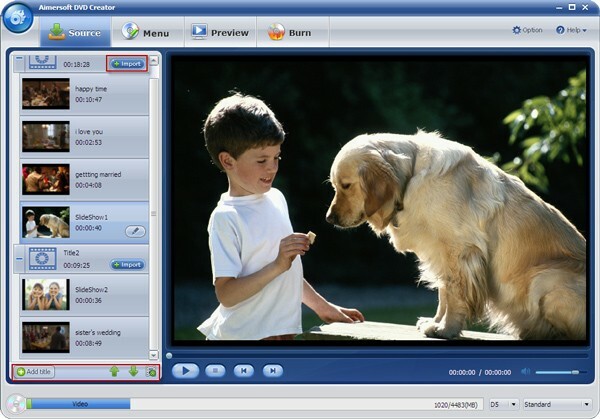 Windows DVD Maker MOV: The tutorial teaches you how to burn QuickTime MOV videos to DVD on Windows with DVD Maker. Convert AVCHD to DVD: Have the need to burn AVCHD videos to DVD? This article gives you a step-by-step guide. Convert AVI to DVD: The article teaches you how to convert AVI videos to DVD so as to release more space on your hard drive. Convert Divx to DVD: Don't know how to deal with Divx to DVD burning? You can follow the article to solve your problem. Convert MKV to DVD: Have encountered problem when converting MKV videos to DVD? Click here to learn how to fix it. Convert FLV to DVD: The tutorial instructs you to burn FLV videos to DVD so that you can watch the files on TV.